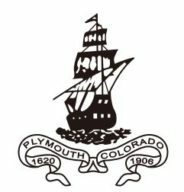 The Society of Mayflower Descendants of the State of Colorado is an organization of people with documented lineage to the original founders of the Plymouth Colony. Prior to disembarking from the Mayflower, the members of this determined group signed an agreement forming a simple and accountable government. This Compact also provided for individual civil and religious freedom. The Mayflower Compact is considered by many to be the ideological precursor of the Constitution of the United States of America. Our State Society is affiliated with the General Mayflower Society with headquarters in Plymouth, Massachusetts. As a group, we are dedicated to the maintenance of American ideals and institutions. We are determined to perpetuate the spirit of survival and endurance exhibited by our ancestors. We endorse the principles set forth in the Compact that was signed by members of this expedition. We are dedicated to preserving the memory of our Pilgrim Ancestors. Our interests focus on history, genealogy, education and the preservation of the significance of the Pilgrim landing at Plymouth in 1620. 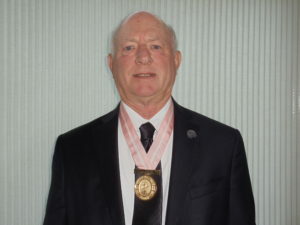 Our State Society is affiliated with the General Mayflower Society with headquarters in Plymouth, Massachusetts. As a group, we are dedicated to the maintenance of American ideals and institutions. We are determined to perpetuate the spirit of survival and endurance exhibited by our ancestors. We endorse the principles set forth in the Compact that was signed by members of this expedition. We are dedicated to preserving the memory of our Pilgrim Ancestors. Our interests focus on history, genealogy, education and the preservation of the significance of the Pilgrim landing at Plymouth in 1620. Individual strength, dedication and determination contributed to the survival of this colony. If each member had elected to “go it alone,” –none would have survived. By working cooperatively with other members of the group, the Plymouth Colony survived and eventually flourished. Our Pilgrim Fathers dealt effectively with the issues of individual needs and expectations, as well as those issues dealing with the security and well being of the entire group. The survival of this band of Separatists and adventurers is a tribute to the flexibility and insight of its governing organization. Anyone with established connection to the Mayflower Colony is invited to submit applications for membership. Our Historian will gladly provide guidance concerning the application process. One of our missions is to award scholarships to high school seniors each spring who are planning to attend any accredited college, university, or vocational institution during the following academic year. The award monies are sent directly to the winner’s educational institution. Visit our Scholarship section on this website for more information. 2020 will mark the 400 year anniversary of the landing at Plymouth and we are actively working on celebrations to commemorate the event. Please look around the website. Feel free to contact any of the Officers or Board Members, if you have questions or comments. We hope to hear from you soon.